Updated Wednesday December 19, 2018 by Jeff Nagel. 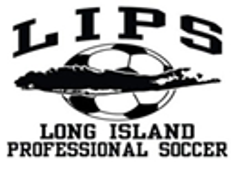 Long Island Professional Soccer, commonly and nationally recognized as LIPS, is a comprehensive soccer training company that was established in 1998 in an effect to emphasize a players acquisition of values such as self discipline, team oriented commitment and respect while grooming individual skills. The mastery of discipline and commitment carries over to a successful performance in many aspects of a player’s life. Long Island Professional soccer provides specialized skill development camps and clinics at both indoor and outdoor facilities. All are open to boys and girls of all playing abilities. Our camps and clinics are proven through our high rate of success in placing youth players on State, Regional and National ODP teams. LIPS also trains youth premier teams that compete in the most prestigious and competitive events in the U.S.
Our training includes both technical and tactical elements essential to the development of both individual and team needs. We aim to provide an enjoyable, satisfying and learning experience for all people involved, while also supplying a positive soccer atmosphere. LIPS is developing elite youth players and teams to compete with the nation’s best competition. Our goal is to continue to provide a year-round soccer training program that will provide players the highest quality training and competition.